Among the world’s most popular websites, most traffic comes from mobile devices. Here’s the link from The Atlantic May 16th, 2016 article. In Africa and Asia, people of all ages call smartphones—not laptops—the most important device they use to go online, according to a GlobalWebIndex survey last year. Worldwide, most people under age 34 say the same thing…. 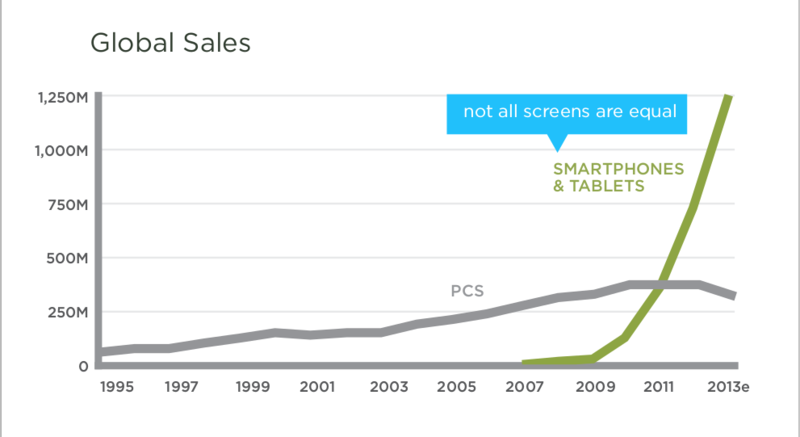 The trend toward mobile-only is likely to continue. Last month, the audience-tracking firm Nielsen found that smartphones are the most-used medium in the United States—beating out television, radio, and desktops, even though more Americans own TVs and radios than smartphones.